RICHLANDS — Greenville carpenter Mark Sullivan sat in the white basket of the orange cherry picker and nailed wooden shingles onto the bell tower of the Adams School House. Born in Jacksonville, Sullivan was in Richlands on Saturday because family asked him. He’s good with wooden shingles, a trait almost as long gone as the idea of a one-room school house, tightening his skills in South Florida around Boca Raton. The staccato cracks of Sullivan’s hammer, like those of the other men who worked to repair the soffit and eaves, harkened back to the sounds of the 1880s when the Adams School House was first erected. The cherry picker motor’s soft whir as Sullivan raised and lowered it, and the tight whine of the electric saw cutting boards to fit the overhang brought the workers back to modern times. Outside the school house, Richlands resident Brian Carey handed a wood chip down to his 10-year-old son, Adam, dressed in a ball cap and a hooded sweatshirt, who then handed it to the open mouth of his black Labrador retriever Princess, who chewed on it until someone gave the dog a rib bone from the pig on the pit cooker. Men and women worked to remove paint off the 19th-century benches, brushing paint stripper onto the wood with brushes dipped from baked bean cans before someone used a power sprayer to peel away the paint. Times have changed since the school was built in 1886. But as dozens of helpers inside and out of the school house and the Hominy Swamp Community Center made repairs as part of the countywide Make A Difference Day, they said the sense of community and togetherness are as alive as they were more than a century ago. “One of the biggest pleasures is that we’re all working together to restore part of our heritage and enjoying fellowship over some barbecue,” Dennis Jones said. 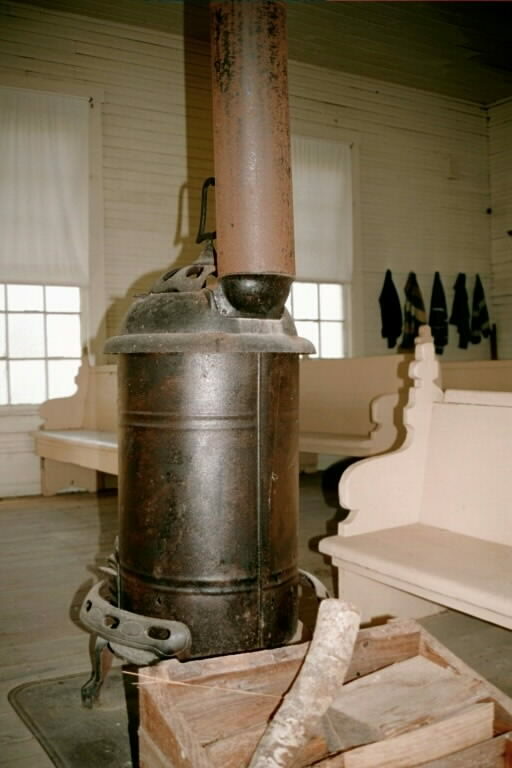 Jones, a former Richlands High School principal, is a bit of an expert in the history of the area and the Adams School House, dating back to the time when, as a boy, he listened to his grandfather’s stories of the one-room school building where the older boys would need to arrive early and stoke the wood stove. 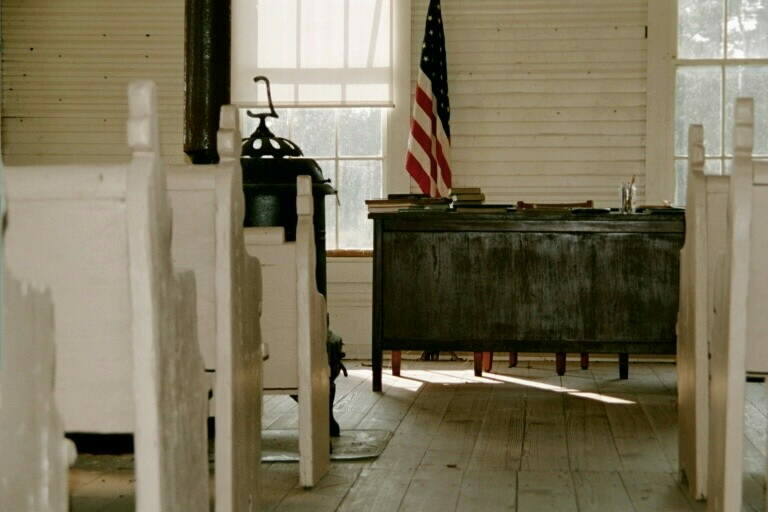 It is also not lost on Jones, as he recounts stories and dates of Huffmans, Coxes and Shaws gone by, that he as a child listened to stories of the school house, later learned its history as he embarked on his own career in education. And now, he has returned to Adams and the history of the town. “I enjoy studying the rich local history of the area,” Jones said. 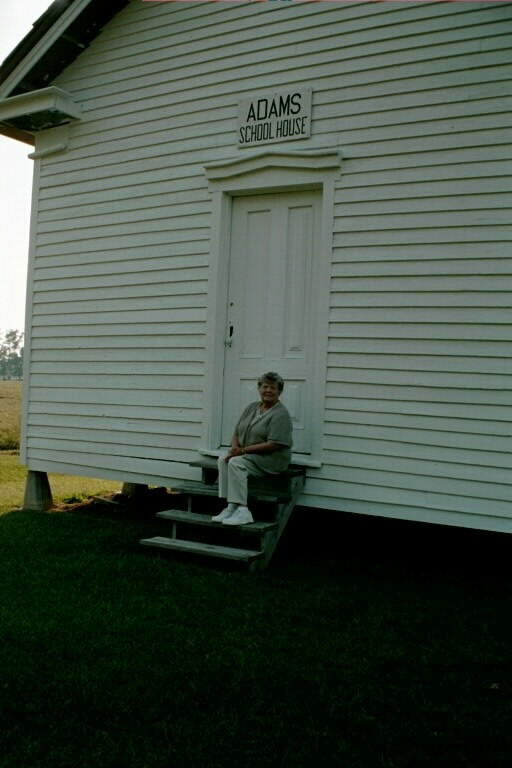 Hominy Swamp Community Association president Wanda Barbee’s grandfather, William, sold the acre of land for $1 in 1886. The school, named from the original landowner, closed in 1924 when the first Richlands school — where Richlands Elementary now stands — opened teaching grades one through 12. The benches, many of the floorboards and two of the windows are still original, as is most of the outside wood. It was moved north to the other side of the small white community building in 1970, where it sat undisturbed until two pine trees toppled by winds from Hurricane Fran crashed into the roof. “It’s still structurally sound for as old as it is,” Sullivan said. 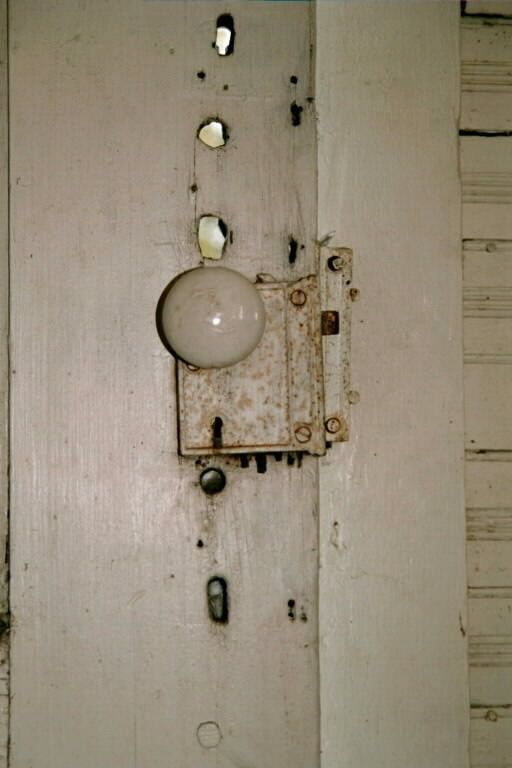 It was moved back south of the community building in 1996. Volunteers, who work from donations, try to meet each year at Make A Difference Day to further renovate the school while moving it closer to the more historically restored building. Besides adding to the area’s sense of togetherness, the refurbishing effort is useful because of an ever-growing historical tourism industry, Jones said. Most of the workers stemmed from the long lines of old Richlands-area families. Carey, however, a retired U.S. Marine originally from Massachusetts, has only lived in the area 10 years. Still, he stood on the ladder under the blue fall sky and withstood a stiff north breeze to repair the overhangs. “If you’re going to be a part of a community, you’ve got to be a part all the way,” Carey said.